Unfortunately, none of this is true. Rubbing a belly is a bit like kneading dough when making bread. They cannot learn this from a book or a computer screen but must practise it or better still get first hand instructions from a more experienced baker. Amber showing how to encourage a human to start rubbing her belly. Thankfully most dogs are willing to put some time and energy into teaching their humans how to rub a belly. You really need to keep at this. If you are living with more than one human, start with the one who is most easily manipulated shows most promise. Make sure you offer them lots of encouragement. They like that and respond well to a doggy grin or a wagging tale. When there are several humans in the room make sure the belly rubbing novices see how much fun the expert belly rubber can get from this. With a small effort you should have them trained in no time. You probably noticed that my last post was December 31st, 2015 and it is now January 1st, 2017. I don’t really have a good reason for not posting during 2016 but will try and make up for it this year. 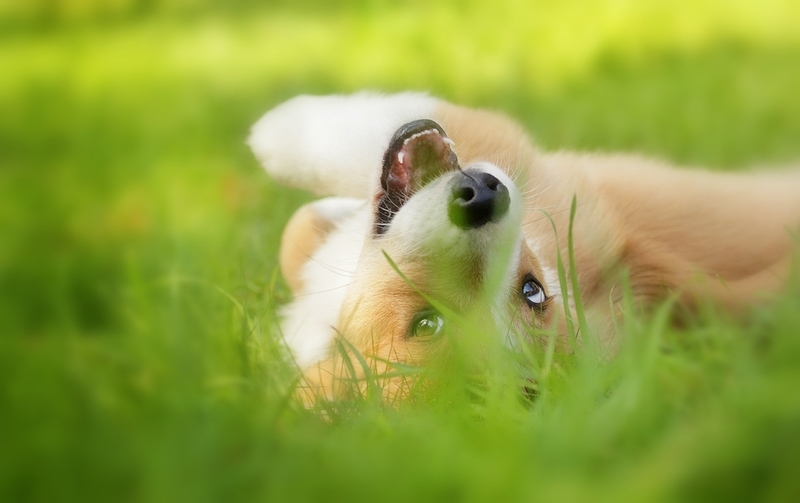 This entry was posted in Uncategorized and tagged belly rubbing, homour, Welsh Corgi by Rusty. Bookmark the permalink.